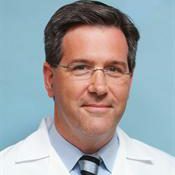 Dr. David Linehan is the Seymour I. Schwartz Professor and Chair of the Department of Surgery at the Wilmot Cancer Institute of the University of Rochester. Dr. Linehan is an internationally renowned researcher, with more than 85 publications. His primary area of research is finding new ways to attack the biology of pancreatic tumors, such as through drug, genetic and immunologic therapies that attack the myeloid cells of the tumor microenvironment. A cancer surgeon, Dr. Linehan specializes in the surgical treatment cancers of the liver, pancreas, and gastric and biliary tract. At Washington University, he was recognized for advancing novel and innovative immunologic therapies that attack the tumor associated macrophages in hard-to-treat pancreatic cancer. He also brought a compassionate, patient-centered approach to a high-volume surgical oncology practice. Dr. Linehan graduated from the University of Massachusetts Medical School then completed his internship and residency at Deaconess-Harvard Surgical Service. He was chief resident in Surgery at Beth Israel Deaconess Medical Center. He completed a research fellowship at Brigham and Women’s Hospital and was then the Kristin Ann Carr Fellow in Surgical Oncology at Memorial Sloan-Kettering Cancer Center.